Baldwin had a rather original idea for the Beavertail lever. This lever is a solid brass design for strength and durability. It comes in many different finishes and functions with all the doors within your home. The Beavertail looks just like the tail of a beaver. Now, I could spend a lot of your time telling a clever story about beaver tails but I’ll let the lever talk for itself. Be sure to get your Beavertail today and enjoy its style and class in your home. Many times our customers are looking for door hardware so that they can prep their home before selling it. They spend time searching for the right door knobs or lever sets so they can sell the house easier. The customer gets the door knobs they are looking for and they get ready to sell their house. After they have sold their home they start looking for their next living space. Everyone knows that the transition between homes can be difficult. There are so many things that weigh into getting a new house. You may not know where to even begin. We wanted to help you, the customer, find the home that you want with less stress. We know how complicated the house hunt can be. To help you out a little we would like to introduce you to The Plan Collection, one of the leading online house plan distributors around. The Plan Collection got its start over 10 years ago. It started with a handful of people selling house designs that they had drawn up themselves. Over the years they gained more and more popularity. Architects all over the United States wanted to have their plans featured on the website. Today the site features over 20,000 house plans. The website is set up to make it easy to find the house that you are looking for. If you take some time and think what it is that you really want you can probably find a house plan that fits your requirements. The people over the The Plan Collection have mapped out everything so you can make an educated decision and pick a home that won’t leave you unsatisfied. They have an advanced search option that let’s you fine tuner your search and find the home that is perfect for you. You can search through the homes by defining total square footage, number of bedrooms, foundation type and more. You can even narrow down your search by looking at only homes that have vaulted ceilings. They have many different styles of home designs to choose from and they offer lots of helpful information about each aspect of a home. Another great feature that the website offers is their My House Plans section. After you take a couple minutes to set up your account, you will have instant access to a personalized library of house plans. You will be able to add any number of house plans with a customized note for each one in your “My House Plans.” You don’t have to worry about keeping track of URLs. When you’ve found your dream plan and your ready to order you’ll just have to log on and find it in your library of house plans. So, for those of you that are looking to move you should give The Plan Collection a try. The home designs are easy to find and are reasonably priced. We wish you luck and a happy house hunt. We not only specialize in door hardware for houses. We offer a wide variety of commercial door hardware, as well. 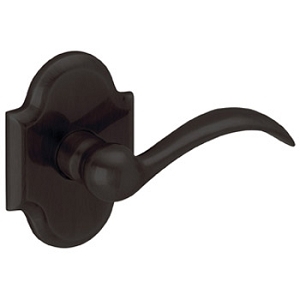 The Schlage AL-Series is a stylish line of commercial grade levers that works for any business. These levers are an improvement on the A-Series that Schlage released earlier. They have been tested and hold up under the commercial Grade 2 tests. These levers will take your mind off office security and help you focus your attention on more important matters. Are you sick of scuff marks on your door? Do you spend hours scrubbing your door to give it a clean look? Add a kickplate to your door and say goodbye to all your problems. Kickplates are popular both at home and at the office. We receive kickplate orders for all kinds of doors. You can custom order a kickplate for any size door. To get your own kickplate the first think you need to do is decide what finish you are looking for. Once you know what finish you want you need to decide if you want a screw mounted kickplate, an adhesive mounted kickplate or a kickplate with magnetic backing. Screw mounted and adhesive mounted kickplates work with doors of all materials. Magnetic kickplates are only used with metal doors. The last step is figuring out what size you need. You need to measure the width of your door and subtract 2″ from the total width. That is the size of kickplate you will need. Well, now your ready to go find a kickplate and save your door from all the unnecessary abuse. Schlage has a good looking single dummy lever in the Levon A-Series Commercial Lever. You can get this lever in 4 different finishes and it comes with a lifetime limited warranty. This makes for a stylish door pull and can go on any door that is in need of a decorative lever. We often feature the newest and best selling supplies in this blog. Today we are going to take a step back in time. Come with us as we look at the crystal door knobs that we offer on the site. We have a warehouse-filling stock of crystal knobs made by companies like Grandeur, Nostalgic Warehouse and Emtek. This make great additions to your old world style home. 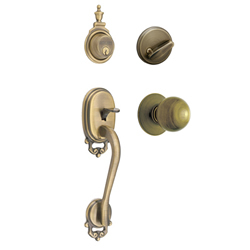 Schlage has released the classical Bowman handleset with many interior options and lots of different finishes. Take a look at all you can choose from. The Colonial Knob by Baldwin is an especially good looking knob to consider when replacing the worn out knobs on your bedroom doors. It has a sleek design and comes in many different finishes so you can get that accent you are looking for to match the freshly painted walls. Some of the technical features include its solid brass construction, concealed mounting and simple installation. You can order this with either a 2-3/8″ or 2-3/4″ backset and it fits door thinkness of 1-3/8″ or 1-3/4″.